When a product has D by it, it means that the product is a decongestant. If there's an A after the brand name, the product is designed to treat allergies. Begin treatment before spring begins, & stick with it throughout the season. How to treat: Oral antihistamines block histamines that usually cause most allergy symptoms. DID YOU KNOW? Histamines are the chemical that your body releases to help fight the irritation of allergens, but histamines can also cause allergy symptoms. For example, your body releases histamines to fight the pollens inhaled through your nose but also can cause a runny nose. How to treat:Ask your Rite Aid pharmacist if using a Nasal Allergy Spray with an oral antihistamine will help your allergy symptoms. How to treat:Antihistamine eye drops block and prevent the release of histamines. How to treat:Oral decongestants narrow blood vessels and reduce blood flow to the affected area to help clear congestion and improve breathing. Symptom:Runny nose, stuffy nose, sneezing and itchy, watery eyes. How to treat: Oral antihistamine and decongestant combination products block histamines and help clear congestion and improve breathing. DID YOU KNOW? The D listed after a brand name means the product contains a decongestant product. How to treat:Nasal decongestants narrow blood vessels and reduce blood flow to the affected area to help clear congestion and improve breathing. Do not use for more than 3 days. How to treat:Saline rinses physically remove and thin out secretions. Plus, they may rinse out allergens and irritants. How to treat:Combination eye drops narrow blood vessels and block histamines in the eye. DID YOU KNOW? The A listed after a brand name means the product is designed to treat allergies. How to treat:Use an ant-itch ointment on itchy dry area of the skin. Manage your allergies means recognizing your symptoms and taking the correct medication before and throughout the allergy season. But with so many allergy medications available, choosing the right one can be confusing. Rite Aid wants to help make it a little easier to take care of your allergies. Now you can purchase the products you want to manage your allergies and be rewarded for it. 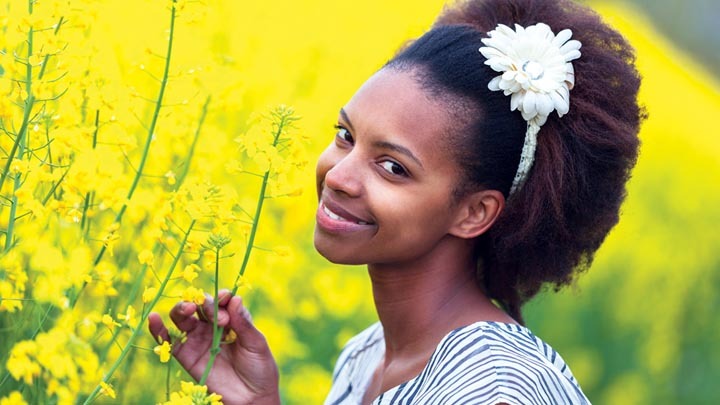 Manage your allergy symptoms with the products that work for you. Enrollment is easy! Just present your wellness+ card with this barcode when you check out to enroll. Rite Aid has a wide variety of allergy and sinus products to help you breathe easy. Look for Be Rite labels throughout the store to help you find the food and beverage products that better fit your wellness needs. * Rite Aid wellness+ Allergy program offer valid on all over-the-counter (OTC) allergy products from January 1, 2019 to December 31, 2019. Registration for this program in-store only. You must have a wellness+ card and register for wellness+ Allergy in order to qualify for program benefits. First purchase must be made in a Rite Aid store, not online. Subsequent purchases can be made in Rite Aid stores or riteaid.com. Wellness+ BonusCash $20 awards after you spend $75 on over-the-counter (OTC) allergy products are based on net purchases of eligible items and are calculated before sales tax and after all excluded items, store discounts, coupons or other credits have been subtracted from the purchase. Excludes prescriptions and prescription co-pays. Wellness+ BonusCash awards are loaded automatically to wellness+ card only for use in-store or at riteaid.com 6AM day after issuance, and expire after 60 days. 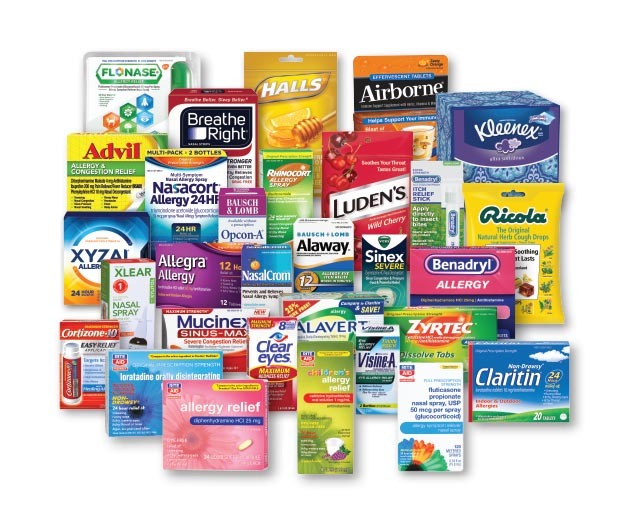 Participating wellness+ Allergy products include Adult and Children's Advil Allergy, Alavert, Allegra, Benadryl, Claritin, Flonase, Flonase Sensimist, Mucinex Sinus Max, Nasacort, Nasalcrom, Rhinocort, Xyzal, Zyrtec, and Rite Aid Brand Budesonide, Cetirizine, Chlorpheniramine, Diphenhydramine, Fexofenadine, Fluticasone, and Loratadine. Also includes Alaway, Clear Eyes, Opcon A, Visine, Zaditor Allergy Eye Relief and Rite Aid Allergy Eye Relief, Halls, Ludens, and Ricola Cough Drops, Sinex Nasal Spray, Ayr Allergy and Sinus Saline Nasal Spray 50 ml, Rite Aid Triamcinalone Allergy 120 Sprays and Xlear Nasal Saline, Benadryl and Cortizone 10 Anti-Itch and Kleenex Facial Tissues.